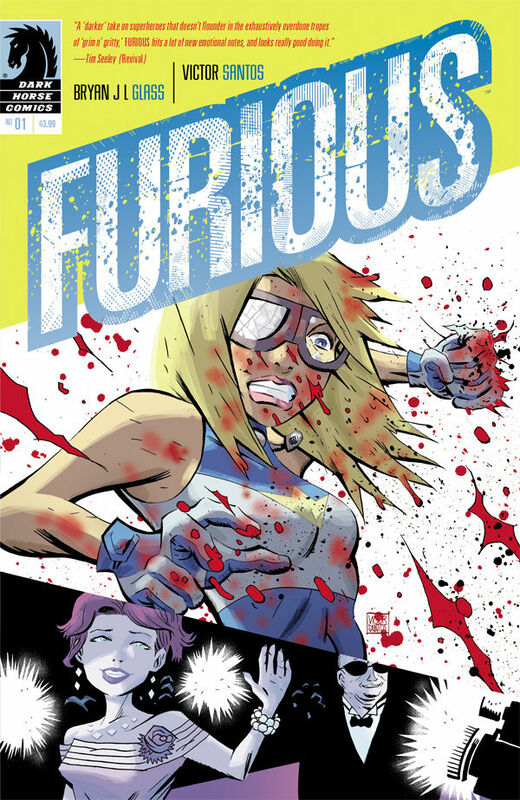 You may remember a few months ago when we mentioned Furious, a new superhero comic about a woman battling her inner demons. Well, the wait is finally over! Furious #1 is out today and, while it certainly wasn’t what I expected, I can’t wait to read more. The story follows a woman known to the world as Furious, although it’s not the name she picked for herself. While I was expecting a fairly traditional superhero story, what I got was the story of a possibly insane woman. And this stressed out, clumsy woman has decided to use her powers to help the world. Unfortunately, she seems to be pretty bad at her job. The story is much more mental than action-focused; however, any action involved was very intense. At times, this story was a little difficult to follow, but I assume these disparate and confusing threads will start to have answers with the next issue. In the meantime, I’m enjoying a female superhero who isn’t sexualized or trivialized. Her outfit seems practical, rather than showy, and the fact that she’s a woman isn’t a big deal. Furious is very human and, so far, not a walking stereotype, which I really appreciate! The art is vibrant and interesting, full of violence and movement. As I mentioned, I like her suit – the blue and white with blonde hair just scream “good guy,” despite what actually happens when she dons it. All-in-all, I can’t wait to read issue #2 and get some answers about just who Cadence Lark really is.